Have you ever had a sore that just itched? You tried so hard not to scratch it, but eventually, you give in and do. Sometimes you are so careful not to scratch while awake, but do so while sleeping and wake up to a bigger sore? What happened? Did you get an infection? We all know what happens with an infection if untreated… Sepsis can poison the blood and/or the infection can reach the heart. If continually untreated, it can eventually lead to death. This can happen quickly, or very slowly, but an infection can not be ignored. However, if we don’t scratch, we can prevent it from spreading. Right now, all across the world, infection is quickly spreading through the church due to itching ears being scratched. It begins with a little tingle. A little bit of falsehood that doesn’t even seem like it may matter. From there it grows into a doctrine that contradicts scripture but is presented in a way that seems right because it has been garnished with twisted out of context scripture. BEWARE! Do not let this infection spread into your heart and soul! 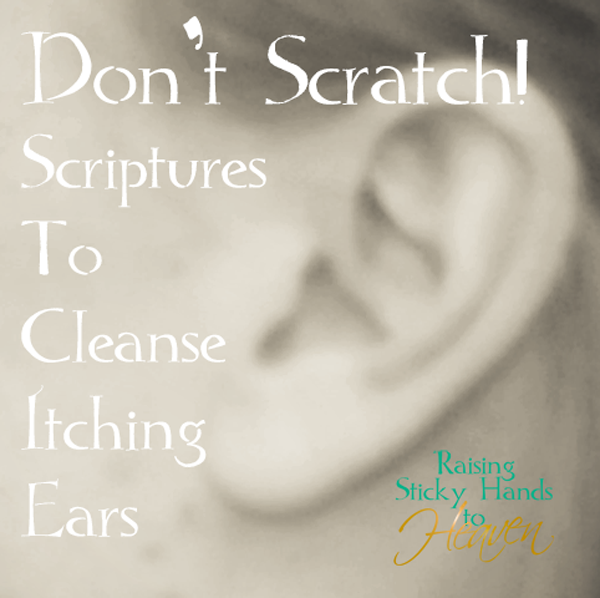 Clean those itching ears and stop the spread of infection with cleansing scriptures from the Word of God! First and foremost, everything that we allow ourselves to believe must align with the Word of God. If it is not in the Bible, then it is not scripture. God often gives authors knowledge, prophets a word to share, and whispers to the heart of the believer… However, if it does not align with scripture, it is not from God. Period. There are religions out there that believe they can add to the Bible, rewrite it, and call it irrelevant. While there are many scriptures that warn against this, this passage has a powerful punch and proves that there is no argument against God’s written Word. Also, with a warning like that, your temptation to even do so should be quenched. Many like to sugar coat the verses they have read and change them to fit what they need it to be. They will state that the Bible is outdated and no longer the case. If He is the same yesterday, today, and forever… then His Word is the same yesterday, today, and forever. He does not change, nor does He lie. If the Father, Son, or even the Holy Spirit were to change something, which they don’t, it would change all throughout time. There is no wrapping your head around it because it just isn’t done. So no, the Bible and what we are expected to follow as Christians may not be politically correct, but it IS relevant and it does NOT change. Oh, look, in the SAME chapter! We are to check the fruit! I am unable to post all of that here, so please read that on YouVersion or in your own Bible. Now, I will say this… it is NOT our job to condemn or shun a person. It is our job to LOVE a person. While at times we are called to correct another Christian (NOT A SINNER), we are to do so in love. If you’re unsure about what that means, then simply don’t attempt it until you are able to receive better teaching on the subject. (By the way, God will not call you to do this very often…) However, yes, we are to judge their fruit. The warning at the beginning of Matthew chapter 7 is kind of a warning to you that people are going to be watching you as well, so clean up your own house and keep it that way… Especially if you are in a place of leadership. I can live however I want as long as I believe in God. I’m a good person, so I will go to Heaven. God would never cast anyone to hell. No. Nope. Not what the Bible says… and those are only a handful of many supporting scriptures. Well, that is all I have for today. Use these scriptures generously and as often as needed to treat any symptoms that cause your soul discomfort. I will follow up with more as needed. Is Church Camp Worth It? Part 4: Well, Is It? 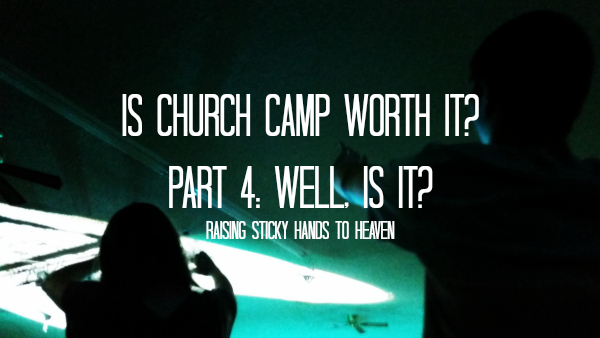 This blog post is the fourth installment of a series on church camp. You can find the first post about Kids Camp by clicking this link here, the second post about Junior High Camp by clicking on this link, and the third post about Senior camp can be found by clicking this link. I should have stated this from the beginning… No one asked me to write this series. 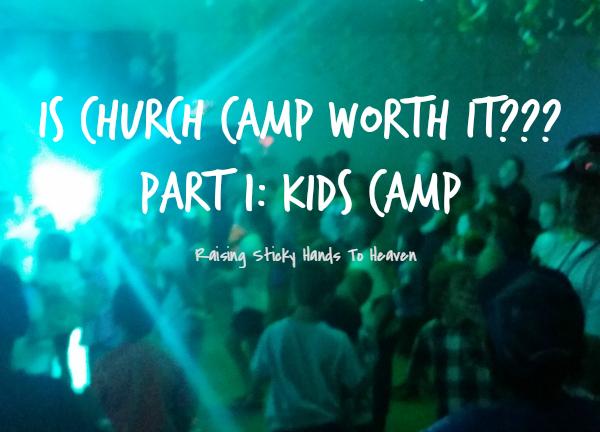 I actually had no intention of blogging about church camp at all. Last Thursday, I was working on homeschool planning for this upcoming school year and praying over our family’s direction when I felt that I needed to write this all out. It hit me out of nowhere, I walked in to my laptop, started typing, and what you see is the result. Hopefully I have not upset anyone with my doing this… But what you see is honest and from my heart. Now that we’ve gotten that out of the way, let’s move on… shall we? Alright, so you’ve heard all about what goes on at each camp. Now let me respond to some concerns you may be having… You know that it is very involved to pack everything necessary for one camper to be prepared while on the campground. The cost seems like just one more expense… And what about the fundraising? School is about to start back up when camp is going on and there are other things that you could be doing with your child’s time. So why bother with church camp? 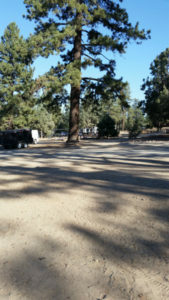 The cost, well, this depends… What campground are you going to? There are some really big camps out there, all frills and they still offer a spiritual experience for you kids and teens. SoCal Youth church camp is pretty basic in the way of amenities, bringing the costs down to be much lower than most others. Nothing fancy, but still nice. Do the campers complain? Not a peep! Not everyone can afford to send their kids to camp… Fundraising, if done properly, does not have to be as daunting. My personal opinion? It should begin the week that camp ends for the following year. There are many creative ways to go about this and they don’t have to be boring. One idea would be a monthly sponsorship… If you have an idea of how much it will cost to send a kid or teen to camp you can break that down in to monthly increments that if a church member felt lead, they could contribute to. Need more ideas? A quick search on Pinterest will bring more than enough options. One idea that we used at our church this last year was a Bible Read-A Thon. Just like a regular read-a-thon, but with the Bible. (Hmm, maybe I’ll post the forms I made up for this soon…) Another was that our kids had a “concert”. The music from this service was put on a CD with other recorded music of our kids singing and sold for a donation. We had bake sales, sold candy and soda, had penny marches… And we just barely made it. Of course, we didn’t start getting serious with fundraising until April. Imagine if we had started sooner! But you’re busy. Your kids are busy. Your church is busy. EVERYONE is BUSY! Is church camp worth it? You probably knew by now that this was going to be my answer… Right? There is something about getting this many kids together from different churches… (big emphasis on that last part, not just the kids from one church, but many…) Giving them a safe place to have fun, make new friends, and experience the outdoors… And then standing back and watching God bless them in a life changing way that will impact the rest of their lives. With no where to be the next day and no responsibilities to go home to each night, kids let all their worship out in chapel. Yes. Church camp is definitely worth it. But… but… but you said that you had honest opinions on what would make church camp better. How can that be? How can I have suggestions to make it better and still say it is worth it? Well, sit down and take a deep breath before you read this… My opinions of what would make it better have a whole lot more to do with those of us sending our kids up there, not those running the camp. First and foremost: Camp is NOT a reward and churches need to stop treating it as such. Camp is a REVERSED MISSION FIELD! Instead of us sending out missionaries, we are sending our kids to the missionaries. They are meeting Jesus, learning about God’s love, and being filled with the Holy Spirit. The main focus of camp, even with all the fun stuff, is that these kids have a personal relationship with all 3 members of the God head. Would you say to someone, “If you do this, that, and the other, you can get to know Jesus. But you have to prove to us that you’ve earned it… and you just don’t seem like you deserve it.” No way! 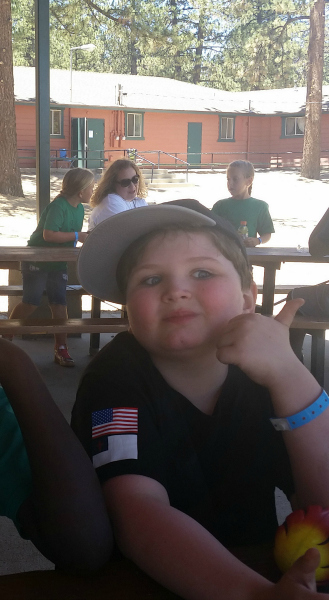 While sports and other activities make an impact on our kids, so does camp. If it seems to you that church camp would benefit your child, and for most it would, then it should be held to the same regard. You need to follow up with the kids in your church that attended camp. Don’t just send them home and forget them. Check in with them and see how they are doing. If they don’t always attend your church, reach out and invite them to services and events. Ask those that are regular attendees about camp throughout the year. Don’t let that fire die! More PASTORS need to attend camp with their churches! Not every pastor can physically handle it, and that I completely understand. But hey, what about associate pastors? Elders? Kids and teens need to have a connection with their church leadership before they graduate high school and this is a great way to build that! 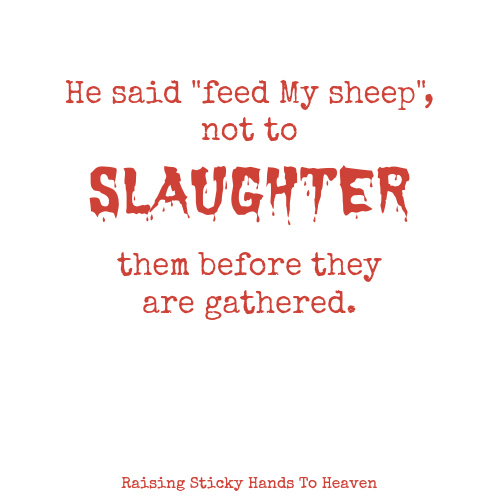 Another great reason would be so that the shepherd can tend to their flock… Just because you send grown ups to camp, it does not mean that they behave as grown ups or that they are able to reign in everyone they have been given charge over. (Remember that pranking issue?) If you were a kid or teen, would you want to embarrass your pastor and church right in front of them? Most wouldn’t. Can’t go? Give those that are going (kids, teens, and older volunteers) a good pep talk, encourage them to have a great time and draw closer to God, tell them you can’t wait to hear all about it when they return and maybe have a youth night where everyone tells Pastor what they liked best… and ask them nicely before they leave to remember that they are representatives of your church. Another cry for volunteers… Are you a nurse? A short order cook? Are you trained as a lifeguard? Camps need these! Pray about volunteering! Even with a great pool area, our camp did not have swimming this year because we were unable to find a lifeguard that was available. BRING THE SONGS HOME! 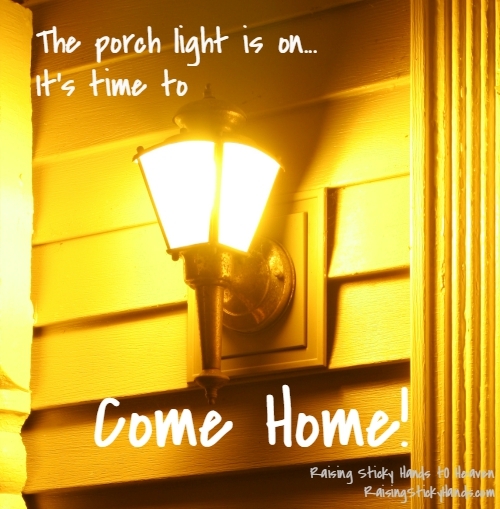 When those from your church and family have returned, ask them about the songs that were sung. Which ones were their favorites? Download them and play them often. Worship leaders: Add them to your lineup. Sing them during altar calls. (Yes, altar calls. Bring them back. 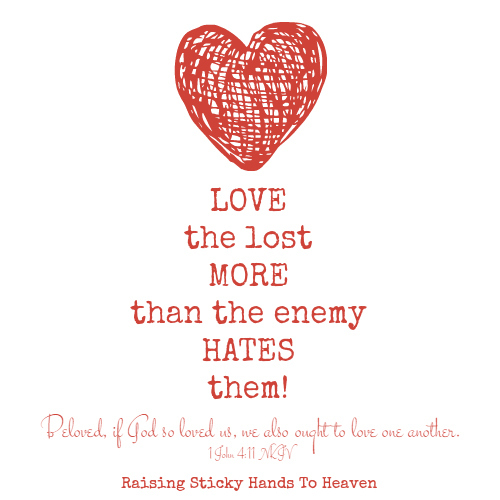 More on that in another post…) Keep those memories of what God did for them alive! We all know how a song can bring back a memory… Remind them of what God did for them at camp! Pray over each and every camper and worker that you are sending to camp: over their hearts, for their safety… PRAY THAT THEY DO NOT GET SICK! Remember how I said in that first post that it seemed like the ones who needed to be there most got sick? They may not even have to go home, but they may miss a chapel service that they need to be in. The girl from our church that went to Senior Camp worked harder than any of the other campers from our church to get there. She LOVED chapel! She became sick on the last day and when I arrived at the campground I asked her if she wanted to go home. Nope, she wanted to stay for chapel because she knew that last service was going to be amazing. Poor thing became so sick right at the beginning of the service and had to spend the next several hours in the nurses station just to be well enough to handle the ride home. She would have greatly benefited from this service and it broke our hearts! Pray hedges of protection around those that are going, and keep praying until they come home! I know, you’re sick of hearing what I have to say by now… But hear me out. Please. 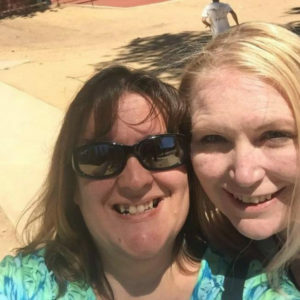 Imagine my excitement when it worked out that Sherry, along with her Mom, daughter, and friend, would be visiting Southern California… I rarely get to see her and she is one of my rocks. 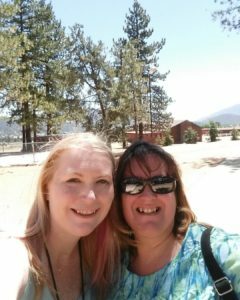 I mentioned in the first post that Sherry and I have a history at camp. That her parents were our District Children’s Leaders for most of my childhood… That our Grandparents worked together as pastors in the same district for many years, forging a close friendship, and working hard to build up our campground and attend camp with their churches. But God had a plan… Their visit wasn’t a fluke. It probably sounds to you as though it worked out almost like a cheesy movie, but in reality it packed a punch! Sherry’s Mom, Debbie, poured in to some of us while there. She reminded me of some of the original vision for the camp and told me some things I did not know. For example: Did you know that 80% of missionaries receive their calling to the mission field while at church camps? That’s a HUGE number! Many of us adults that were in attendance at camp then got to talking… Those of us that had attended camps had received part or all of our calling while at camp! Some of us that had backslid later in our teens or as adults recalled times while away from God that we were in a dire place and remembered a moment from camp. 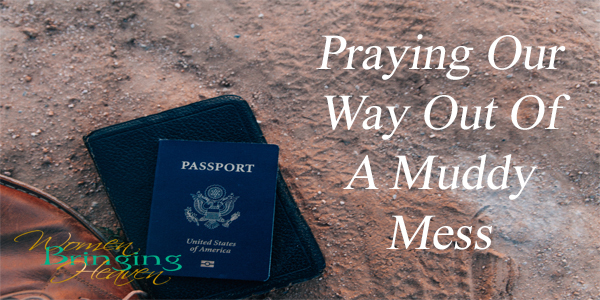 Whether it was time in the altar, a conversation with a counselor, a song sung in chapel, or a sermon, those memories started flooding back and we began to reach out to God and make our way back to Him. When I was a camper we had a phrase, “Take the mountain home with you.” Take it to school. Take it with you wherever you go. Don’t ever let it go. Never lose what God gave you on the mountain. I promise you, the kids that go to church camp take that mountain home with them. Between Sis. Debbie and a few other “camp veterans” in attendance, I realized how important return volunteers are. Many of these workers were people that had been working at camp when I was a camper. Sis. Ross had been there when I was a little girl. I remembered her praying with me in chapel and doing bed checks at lights out. This year, she was still there working hard along with others, showing us “newbies” the ropes. I gleaned so much from their knowledge and experience! Some people are called to work at church camp every year. Are you one of them? You don’t know until you pray about it and try it one year. You may be hooked! I will say this, I get why my Grandpa loved it so much now. Whenever the Lord allows, I will be at camp working in one way or another. So now, after all that, what do you think? 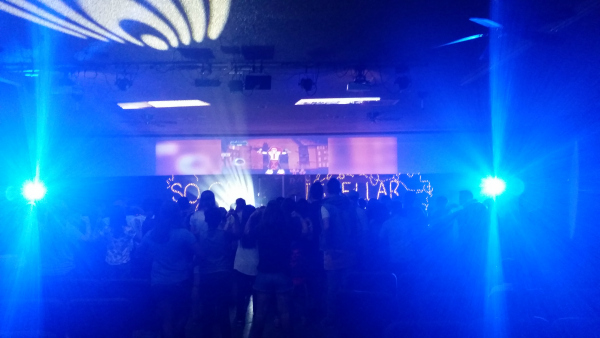 What songs did we sing at SoCal Youth 2016 Camps? Stay in touch to find out! And tomorrow… come back tomorrow for our 5 year Blogiversary GIVEAWAY!!! 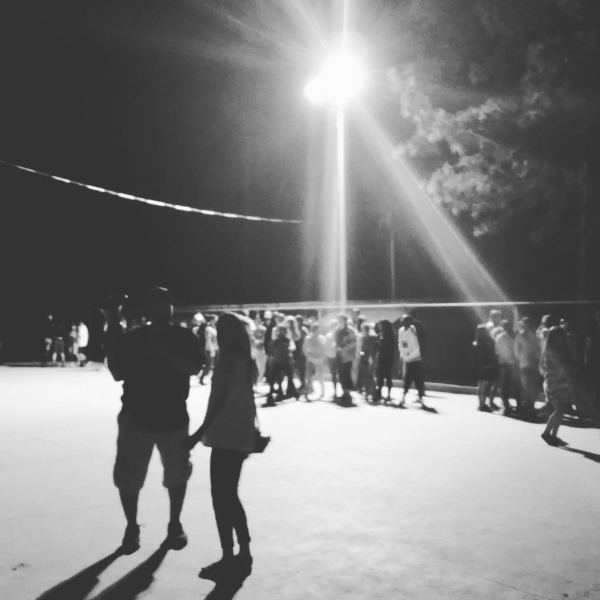 This blog post is the third installment of a series on church camp. You can find the first post about Kids Camp by clicking this link here, and the second post about Junior High Camp by clicking on this link. Third… Last, but definitely not least, there was Teen Camp B.
I think you know me well enough by now to know that I’m just going to lay it out for you right here: We called it Senior Camp when I was growing up. By the way, I wasn’t the only one that couldn’t ditch the “old names”. So I’m not going to stress over it. Senior Camp was for 9th-12th grades and teens that had graduated from High School but still attended Youth Group. Camp began on Sunday afternoon and ran through Friday morning with chapel, again, in morning and evenings. Though camp did not end until Friday morning, due to a conflict in schedule, I returned on Thursday night and brought our kids home at about the time of lights out. Since the “last day” of camp is actually just waking up, eating breakfast, packing up, cleaning your dorm/cabin, and leaving… I thought leaving 9 hours early wouldn’t hurt. Our church only sent 2 kids to Senior Camp, my son Jeffrey (15) and another girl from our church the same age. This camp had the largest attendance of all, with 200+ kids! Unfortunately, I began getting sick the last few days of Junior High Camp after a bad allergy attack. Only a few hours in to Senior Camp and I was laying in my bunk, curled up in a fetal position, and shivering. While everyone was at their first chapel service, I reluctantly went home with the intention to come back. However, my Doctor insisted that I not… something about early bronchitis, double ear and sinus infections, and my being crazy. I decided I should listen, for once. 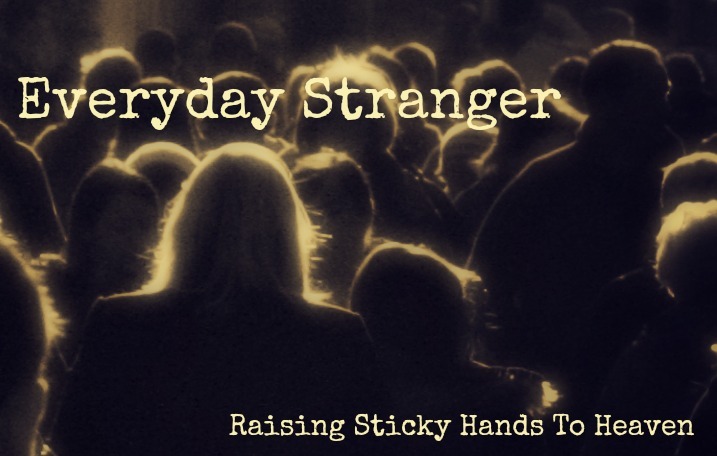 So instead of giving you a full run down, I will tell you what I have gathered from my son, the girl from my church, posts on Facebook, things I heard when I returned to gather our kids (I did attend the last service), and so forth. Kind of like Junior High Camp, but more mature. Many of the activities were the same or similar. Jeffrey says that the afternoons were mostly free time. There were more options of things to do. Basketball, throwing around a football, pool, ping pong, horseshoes, baseball, volleyball, etc. Again, this is Jeffrey giving me the information… my 15 year old son… Chances are if it didn’t catch his eye, then he didn’t take note of it. It is entirely possible that there was much more. Before the evening services there was a Lip Sync Battle. I caught the last night and it was hilarious! The majority of what I heard about from the kids was about chapel. I feel that speaks volumes! Instead of little kids who are just learning how to worship or tweens and young teens that are concerned with who is standing next to them and watching… these kids are ALL in. Altar calls after evening services lasted HOURS. Chairs had to be pushed back to make more room so that everyone could fit in the front of the sanctuary. They wanted all of God that they could attain, and then more after that. The Holy Spirit poured down and there was a strong presence of the Lord in every service. 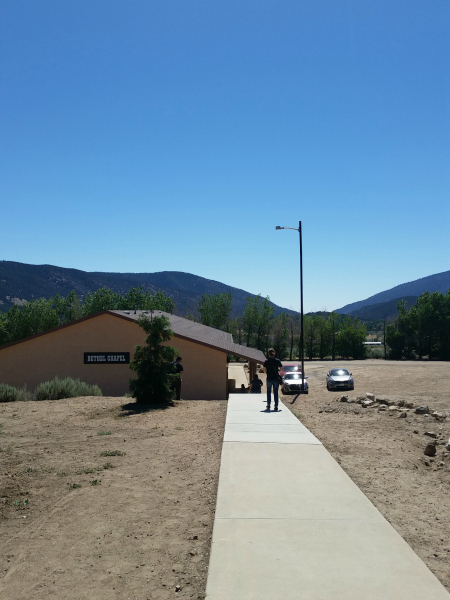 Mark McGaffin, Youth Pastor at Higher Vision Church in Valencia, CA, was once again the speaker at this church camp. Sermons had themes such as “You are more than a #hashtag”, “Let It Out” in reference to worship, “Sin is like cheating on God”, and more… But these were the sermons that stuck out most to Jeffrey. As it always has for as long as I can remember, Senior Camp involves quite a bit of horsing around. Similar to things that go on with kids at school, mostly done in good fun, one cabin pranks another and then that cabin tries to figure out who did it so they can retaliate, and so forth. More than a little annoying, but it seemed that the leaders did their best to keep it under control and have plans to reinforce rules and keep the pranking to a minimum in the future. Really, if you get this many people together… there is going to be “schtuff”. Not everything is going to flow as smoothly as the smaller camps with the younger kids. When you have this many kids crying out to God, the enemy is going to attack with confusion and division. You have to FIGHT IT and not become hateful or negative. Considering everything, while it would have been nice for the kids and workers that did not want to be a part of it to be picked on, when looking at the big picture… We have to remember this: The enemy is angry and we need to not let him win… both by not acting like teenagers should be expected to act like angels and dwelling on what happened, and by taking measures to lower the incidences of drama next year. After all, not every person that attends church camp is a Christian. Can we expect those that are not saved to behave as we would? For the most part, everything went smoothly and a good majority behaved Christ like. Our District Youth Directors from SoCal Youth went above and beyond this last week of church camp. Nancy had her baby the second morning of camp. Everyone seemed to step forward and do what they could to help Roque out as needed. Once again, youth pastors were taking part in the services. When I returned the last night to pick up the kids, I was able to attend the last service. 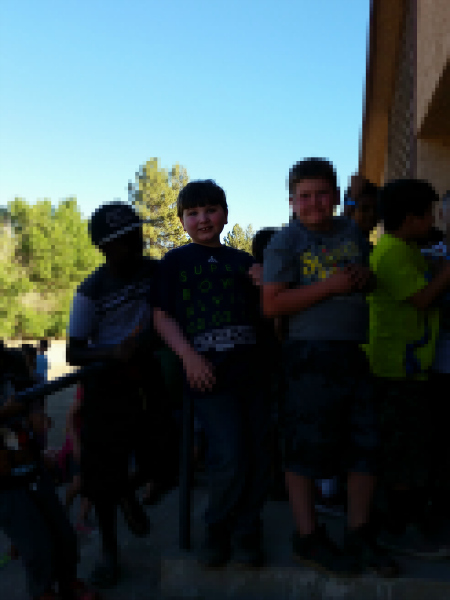 A memory that I will NEVER forget is that of Roque pacing as he prayed on the platform in front of all the kids. He seemed to be warring in the Spirit so that the full Glory of the Lord could fall upon each camper, declaring victory before it happened, and praising God for the victory when it did. Who wouldn’t want a leader like that for their kids and teens?! So was church camp worth it? 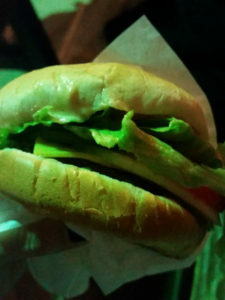 More on that tomorrow… Come back for the 4th and final post in this series! P.S. My sincerest apologies to Mallorie for bailing! I’m sorry you had to eat/drink the gross stuff. 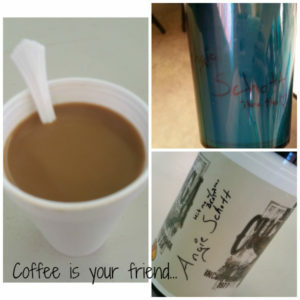 This blog post is the second installment of a series on church camp. 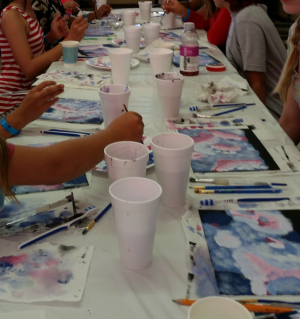 You can find the first post about Kids Camp by clicking this link here. Second, there was Teen Camp A. And again, I have to just get it out and call it Junior High Camp. No, not middle school camp. Junior High Camp. With the proper letters capitalized and all. I’m just weird, I know. I know! For this camp, we had an even smaller attendance from our church. 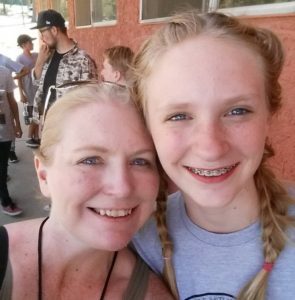 My daughter Becca (13), another girl from our church, and myself. I was very excited to spend time with these 2 girls as one is my daughter and I love the other one dearly. This camp we had about 80 kids in attendance, again a big drop from the old days. But more on that in another post… Teen Camp A (JUNIOR HIGH CAMP, heh…) was for those in 6th-9th grades. Camp ran from Wednesday afternoon until Sunday morning, with chapel in the morning and evening. Morning chapel began in the with a “warm up” song… They were the same songs to get the wiggles out at Kids Camp, but it was still fun. Not that there wasn’t enough exercise walking up and down the mountain from dorm to chapel and back… But we could all use a little more, right? 😉 Especially with all the delicious food! It was also a great way to transition from being loud all morning to being on task in service. Chapel still had games, but the focus changed from kids competing somewhat randomly to dorms competing against each other in “Dorm Wars”, which also carried over in to the rest of the day/night activities. Musical pies, who could drink the grossest concoction, guess the movie title by the emojis, stuff like that. 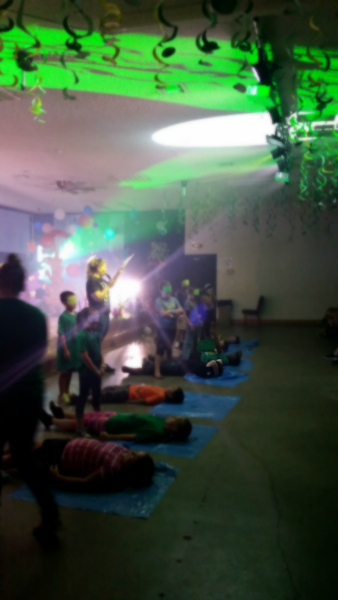 We would then have worship, which was some of the same songs from Kids Camp minus the motions, (though some of us just couldn’t help ourselves and let motions pop out now and then) and a few more songs added in. Next would be the big reveal of who won/lost dorm inspections… which involved losers cleaning bathrooms and winners being the first in line for lunch. We would then be dismissed to go back to our dorms to have devotions and discuss our reflections from the sermon the night before. Evening chapel began and flowed similarly. Worship lasted a little longer than morning service. 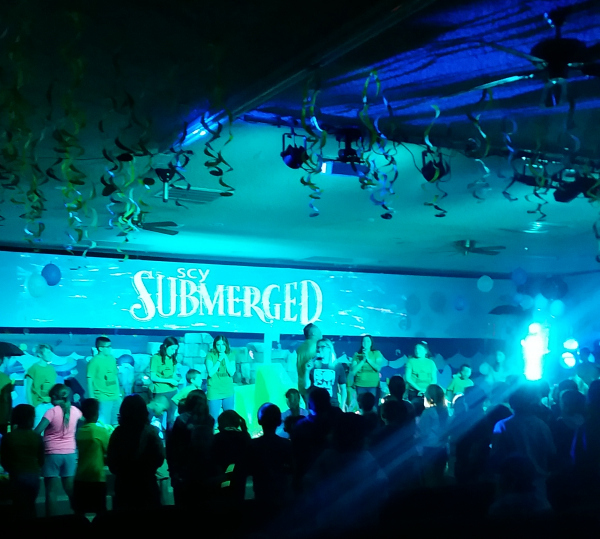 With each service, the kids became more involved and hungrier for the presence of God. 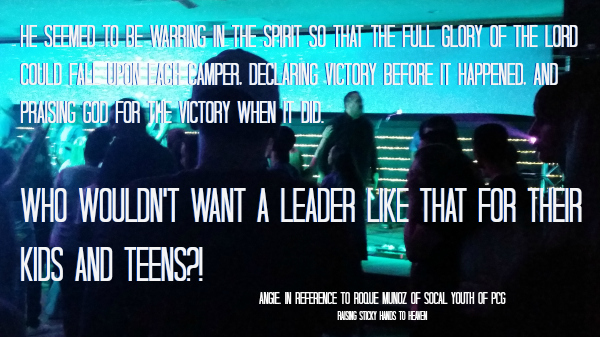 Towards the end of the worship portion, one of our SoCal Youth Directors, Roque or Nancy (who was still pregnant and still putting us all to shame), would give a statement to encourage the kids to draw closer or dig deeper. 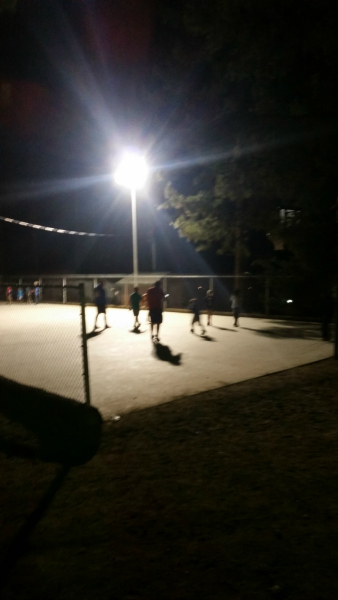 A few different nights, instead of one of the District Youth Directors, a Youth Pastor in attendance as a counselor would make the statement instead. Every time it was right on point and definitely God inspired, resonating with the kids. It was refreshing to not only have Directors and a speaker that were obedient to give the message given to them by the Holy Spirit in the tone that it should be delivered, but also obedient as to WHO should give the message… and then that these Youth Pastors were obedient to deliver the message they received in the way it was intended. Whether that be excitable, serious, emotional… because how it is delivered makes a huge impact on how it is received. Then the person hearing the message is much more likely to be obedient as well. It is a chain that just keeps going down, I know. But when you have seen ministries that are not always obedient, it was exactly as I said, refreshing. For Junior High Camp, Mark McGaffin’s series was titled “Flip The Switch”. He actually built a giant make-shift switch and presented it in a way to really grab the kids attention on the very first night, having the sound/lights people do techy things to make it seem as if it was really plugged in and could function part of the time. (He’s still working on this invention after all.) I thought it was cute when the first night one kid I didn’t know turned around and said to me, “I can’t tell if it’s real or not.” Hey, maybe it is! Bro. Mark’s sermons were mostly based on stories of Peter with titles such as “Flip The Switch: From Doubt to Faith”, “From Guilt To Grace”, “From Fear To Courage”, and I know there was one more but here is where my old age comes in… I can’t remember what it was right now. While the messages were geared towards tweens and young teens, they still challenged some of us adults and inspired us. 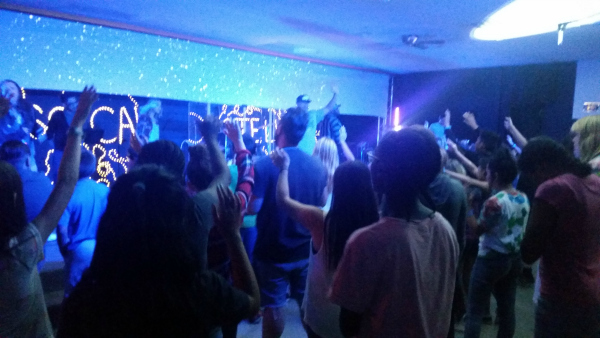 The altar calls at Junior High Camp were REALLY good. 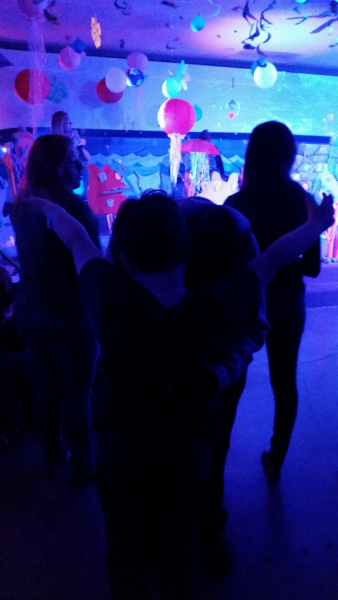 Kids came down and gave their lives to Jesus. 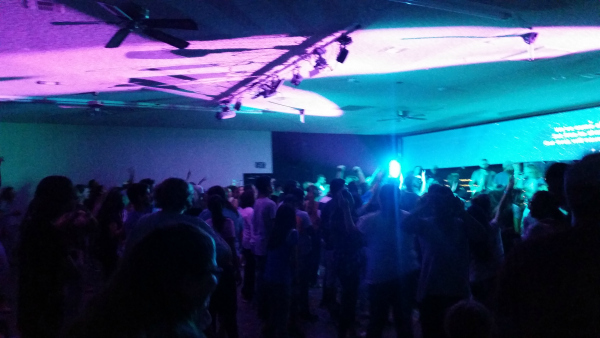 Tweens and teens were filled with the Holy Spirit. People were revived and renewed. There were different calls for prayer each night, for those with certain problems to come down and receive prayer. Calls were also made for if those that just needed prayer for something else. These altar calls usually began with Mark after his message and would also include another call after a few minutes from our leader, Roque, or another youth pastor in attendance that had made a statement at the end of worship. These kids were getting closer to Jesus and experiencing Father God and the Holy Spirit in ways they hadn’t before. Some of them, one being my daughter, matured a lot spiritually for having only been at camp 4 days. Similar to kids camp in that there was good food, friends made, lizards caught/released (Though less than kids camp… what is it with kids and lizards? Not just boys, girls too! 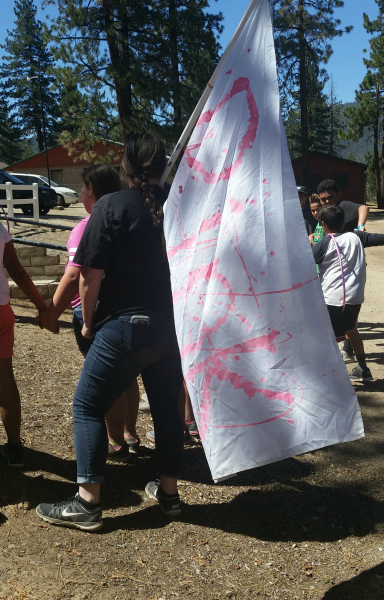 ), and dirt sticking to everyone, tweens and teens church camp was a lot of fun. Lunch took a little longer since for Junior High Camp lunch was not provided by the dining hall (breakfast and dinner were still provided) and was bought by each camper from the Snack Shack… the camps well known grill and snack bar… where they could choose what they want and wait for it to be prepared. This is like a rite of passage for some of these kids. Same at Kids Camp, but there they are mostly buying candy, sno cones, and sometimes a small meal after evening service. For some it is the first time that they are on their own somewhere, without their parents, with money that they can choose how to spend. Money that they can order what they want to eat with no judgements from grown ups. They loved it! So while lunch didn’t take forever, it did dig in to a bit more of the afternoon time, which was fine because there was a LOT of time. Afternoons consisted of optional activities from softball, basketball, volleyball… (some other kind of ball I’m sure… Do I look athletic? 😉 There was sports. How’s that? Ha!) to making tie dye shirts, paint classes, and other options. Some of the activities required a small fee, but it was never more than a few dollars and always worth it. Afternoons also meant… DORM WARS! Now, dorm wars outside of chapel isn’t “Oh, let’s stand around and play a game where we guess/yell stuff or get messy and gross”. No. Dorm wars means actual war… Like, not guns and death, but war on old people’s bodies as the kids run so fast ahead of you that you begin singing that old song, “See the bright light shine! It’s just about home time! I can see my Father standin’ at the doooooor”! Basically, it is a group scavenger style race. Each dorm carries their flag and begins with a card stating what station to go to. You RUN to that station, do the required activity (usually something physical, but sometimes eating something gross or a puzzle kind of thing), get a card saying where to go next, repeat. For like 3 years… or maybe it was around 30 minutes. I’ve blocked some of the trauma out. What I have not blocked out is where every hidden bathroom is located because I was drinking a TON of water and running made it… well, you get it. Now, this is where I have to give a shout out to another counselor in our dorm, Mallorie, because she showed up and showed out. See, each dorm is required to have at least 1 counselor participate… She did it almost every time and rocked it. She also drank the gross stuff in chapel and showed us all how to take a pie to the face without really taking it. Now, me having left my brain at the Carl’s Jr we stopped at to use the bathroom on the way to camp, forgot until I rolled my ankles that I’m not supposed to be doing things like running. Did that stop me? No. I kept trying. Until I finally realized I had lost my mind, I am not young anymore (sad face), and parked myself on a bench. Did I say afternoons meant dorm wars? Oh, that’s not right. Afternoons and nights after chapel also meant dorm wars. Even more fun in the dark and better because less people see you fall or spit dripping out of your mouth as you run! In all seriousness, it was fun. I wish I was in better shape. The kids loved it. Even though our dorm (GO PIIIIIIINK!!!!) lost, probably my fault, it was still worth it… now that I can’t remember the pain. What about the whole boy/girl thing? With adolescence comes… crushes. I was shocked to see how my daughter acts when she likes a boy, which wasn’t bad, just something new and I’m not sure I’m ready for her to be a teenager yet. Can we go back to Kids Camp? No? Anyways, the kids at this church camp did differ in one major way from the way it was at my Junior High Camp. Less boy craziness. Don’t get me wrong, it was there and more so in some girls than others, but most of these girls all seemed to have more confidence in themselves and less need for the attention of a boy. Check back in and I’ll let you know in the upcoming two posts on Senior Camp, um, Teen Camp B, and then my wrap up! Let me know what you’re thinking! Everyone does it. You go to the restroom and if by CHANCE you forget your phone or iPod, you grab something to read out of boredom or to make the time pass quicker. Chances are, that “something” could be a shampoo bottle. 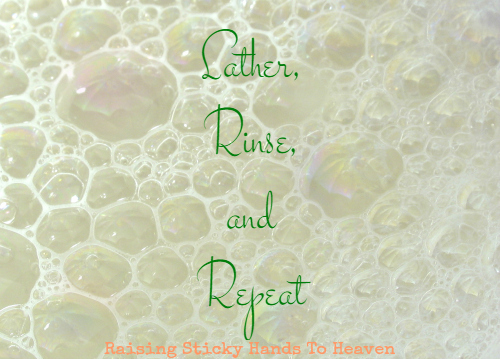 On the back side of that bottle, the directions will say, to wash, lather, rinse, and repeat if it’s needed. Many wonder why you would have to “repeat”. When you use a lot of products in your hair, it builds up a residue, a sometimes STICKY residue, that just washing ONE TIME will not get out, hence the repeat action. Now, let’s look at this in a Spiritual aspect. We are walking along on a Spiritual walk, hand in hand with God, and then #WHAM!, you slip and fall. You feel down about it and disappointed that you “failed”. You HAVE to get up, repent, let God wash you clean because He forgives a multitude of sin! Forgive yourself and continue your daily Spiritual walk with God. We are human. God knows that we are human and that we are going to fall at times, that’s why He will keep His hand extended to us when we fall, giving us the boost we need to get up, and washing us clean again when we ask! We can’t stay in the muck and the mire. Sometimes, we HAVE to go through the LATHER, RINSE, AND REPEAT more than once because of our own stubbornness. Thank God that He gives second chances and repeats His forgiveness! But you didn’t notice me. Never thinking of the poor. And never once looked back. On the cold, hard bathroom floor. You’d fallen against the door. For help to come immediately. To God I made my plea. And I’ve seen you at random times. I’ve often wondered “why me, God? Because SALVATION is HIS plan.